As the Carmel Redevelopment Commission seeks ideas from developers on how to refresh the northeast corner of Main Street and Range Line Road, the city plans to gather feedback from members of the public on what they’d like to see there. The CRC purchased the 1.7-acre site for $2.5 million in December 2018 after years of negotiations with PNC Bank, which previously owned the land. 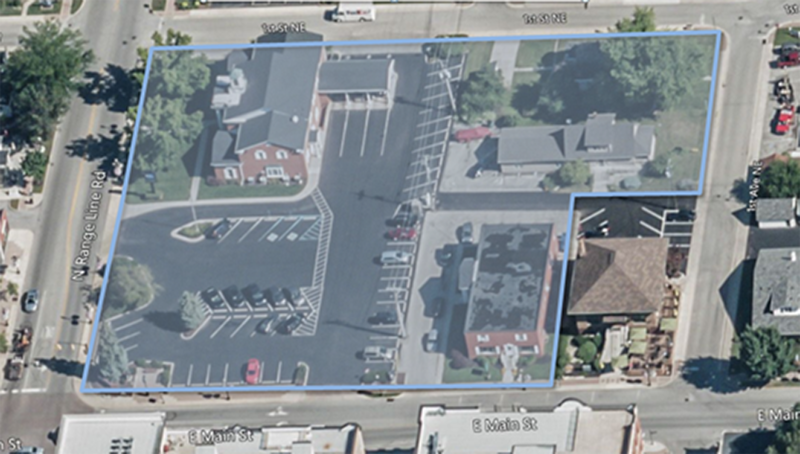 In the request for proposals, the city is asking developers to submit plans for a mixed-use development that provides space for PNC Bank to stay on the site, provides underground parking and maintains the Carmel Rotary clock on the southwest corner. A pre-proposal meeting for developers is set for 11:30 a.m. March 27 in the council chambers, with proposals set to be opened May 1. Carmel Mayor Jim Brainard said he wants to gather feedback on the proposals from those who live and work in Carmel to help determine a final design for the site. “We know there are going to be multiple proposals, so we’re excited to share those with the public and get input on which ones they like the best,” he said. The redevelopment site does not include the building that houses Woody’s Library Restaurant. The building, which is leased by Carmel City Council member Kevin “Woody” Rider to house his restaurant, was built in 1913 as Carmel’s original library through a grant from the Carnegie Corp.
“It’s probably the nicest building from the last century in Carmel,” Brainard said. The city is referring to the site as Lot One because a portion of it includes lots one to four of the original town of Bethlehem, which was founded in 1837. In 1874, the municipality changed its name to Carmel.